All I can say is: thank you! It is a great honour to be given the chance once again to represent the communities of the Cootamundra electorate. This result is due to a lot of very hard work by a lot of dedicated and selfless people to whom I owe a great deal. To have received more than 63 per cent of the first preference vote and more than 76 per cent of the two candidate preferred vote is an outcome I could only have dreamed of, which makes Cootamundra as I write this the third-safest Nationals seat in NSW. We can now look ahead to the next four years and continue as we have done since I first took office in October 2017 – giving everything I have got so that this wonderful part of NSW is represented with passion, dedication and integrity. I promise to uphold the honour bestowed upon me by the community and represent the Cootamundra electorate in NSW Parliament to the absolute best of my ability. There is still so much more work to be done for all of the communities in the Cootamundra electorate and I am looking forward to getting back out on the road and meeting up with as many people as I possibly can. 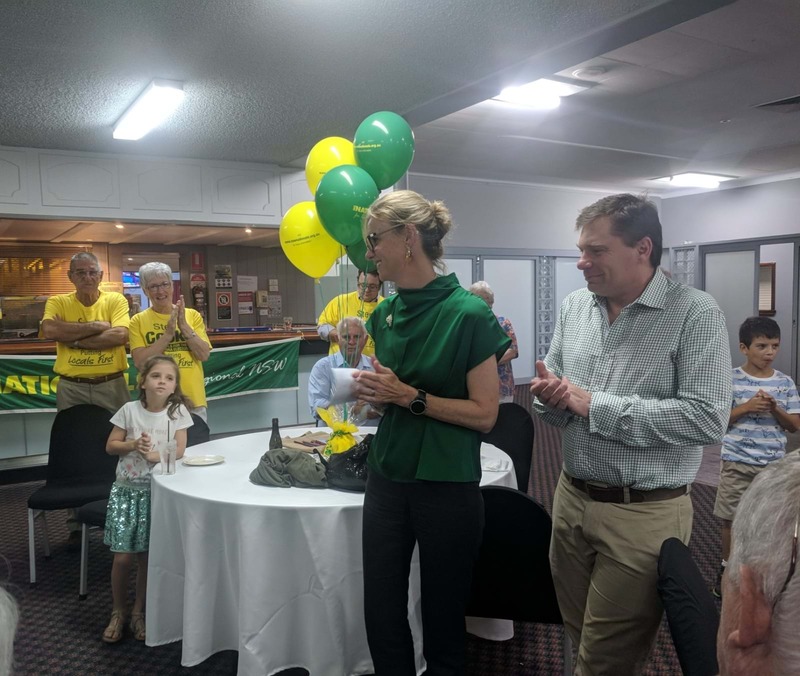 Member for Cootamundra Steph Cooke and her husband Keith Duran thank her supporters as the result of the 2019 NSW Election becomes clear.